If you need to …. 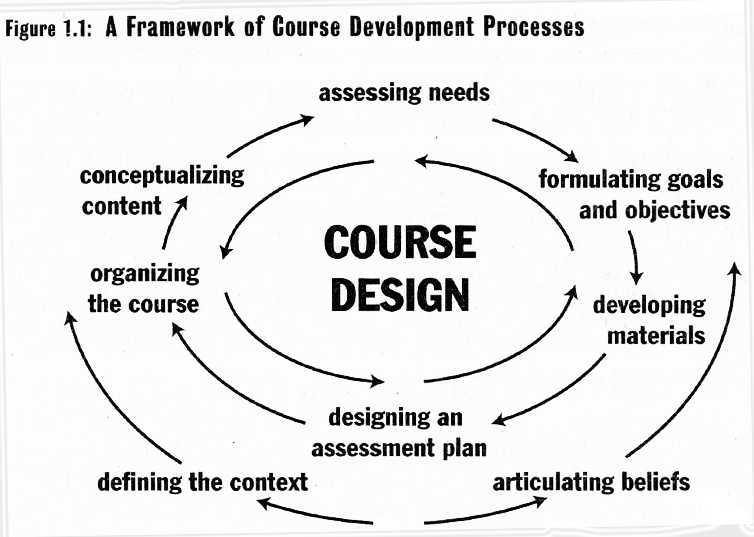 …then you need a tailor made course to make the most of your learning opportunities in the shortest possible time. These specialized courses are designed on the basis of the communicative needs of company executives and professional people within a contemporary working environment which places upon them a demand for using the language at a satisfactory or even at a very high level to communicate clients, suppliers or associates who do not speak their native language. The English & Modern Greek for Professionals programmes are similar to programmes implemented by top international training institutions around the world. CELT Athens trainers are amongst the best trained in the profession, fully qualified with advanced methodology qualifications in Teaching Foreign Languages to Adults and invited by many other centres running general and special courses to train their teachers. 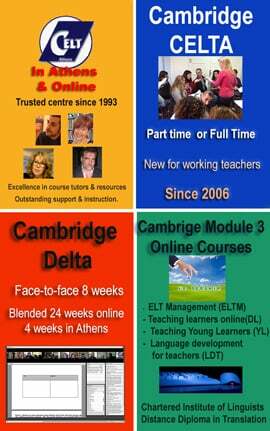 Here you can see some of the CELT Athens client schools where we have trained teachers. Depending on your needs and available space, the course may be delivered at your own premises or at the CELT Athens seminar centre. Courses delivered at CELT are eligible for discounts offered here; these discounts are NOT available if we hold classes at your own premises. Courses delivered in our onlne classroom are more economical of everyone’s time and space and also eligible for discounts mentioned on this page. The more hours you book, the less you pay. 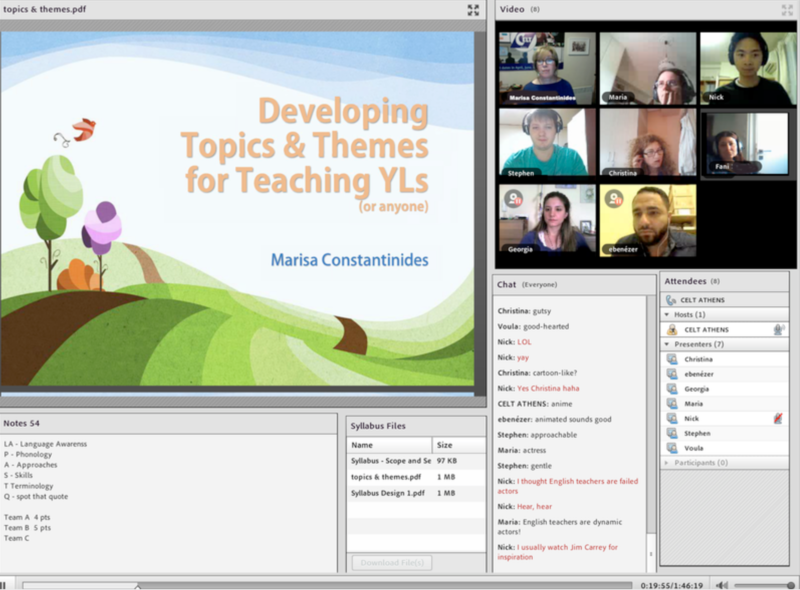 For our online classes, we use the top online class space, Adobe Connect Pro, also ideal for business online meetings and collaborations. Please watch this video to review some of the features of our class. For more information or to arrange an appointment with one of our consultants, please call or send an email. Group Mode – only for groups within a company or organization; seminars can be held on company premises or at CELT. 1-2-1 Mode – for any individual at CELT or office/home. The number of hours for each programme listed below is usually reduced in one-to-one lessons, depending on individual’s initial level and other learner characteristics. To participate in these seminars with the specified number of hours, entry level in English must be Intermediate or, in some cases, Upper Intermediate. For company executives or free lance professionals (lawyers, doctors, scientists, etc.) who need to participate in meetings, present their views, report to superiors orally, or even present a paper or run a workshop in front of an Greek only speaking audience. A practical programme during which course members familiarize themselves with the language of presentations, develop their oral skills, and improve through hands on practice of creating their own presentations which are video-taped and analyzed for self-assessment and feedback from their trainer.Special training can be given to anyone interested in learning how to do a really good Pecha Kucha, a new and very popular type of presentation at conferences worldwide! Watch this funny video about how NOT to do a presentation! How many mistakes can you spot? For any professional who needs to use the internet to access information, to read research, to understand how to perform searches, to find tools which will help them to understand and find their way around the world wide web. This is a course suitable for anyone in science, law, journalism as well as teachers of various languages. For any professional who needs to learn the terminology of his/her field, to read research and professional publications; the course may focus on LAW, MEDICINE, SCIENCE, TECHNOLOGY, BUSINESS, FINANCE, EDUCATION, POLITICS, MATHEMATICS, and many other fields. The number of hours varies depending on entry level. A course designed on the basis of the real communication needs of bank employees and executives in the domain of banking and finance, as they have been recorded after extensive research and analysis of questionnaires given to thousands of bank employees engaged in a wide range of banking operations and procedures. An excellent course for executives and professionals who need to negotiate terms in English with clients, suppliers or other professionals. Negotiations may also involve prices or other points before reaching an agreement, or explaining procedures, financial transactions across the gamut of products, services and types of transaction either by phone, in writing or in person. A specialized programme for those who need to describe or promote products and services, to give or take orders, explain financial transactions during meetings face-to-face, over the telephone or in writing through financial reports, memoranda etc.